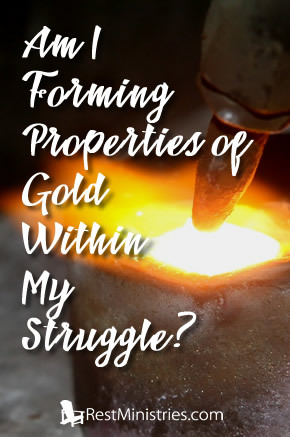 Am I Forming Properties of Gold Within My Struggle? Our illness may feel like a constant fire we battle, but Dorothea shares how God may be using it to mold us to gold. “But He knows the way that I take; when He has tested me, I will come forth as gold” (Job 23:10). My husband watches a show about modern day gold miners. We’ve seen the crews in Central America, Africa, and Alaska. Extreme conditions. Brutal hours. Definitely not for the faint-hearted. Inert – without power to move, act, or resist. Ductility – can be stretched, drawn, or hammered thin without breaking. Malleability – capable of being changed, molded, trained. Purify – to rid of impurities; to free from corrupting elements. And, it made me consider the parallels to our Christian walk. Of moving only when the Holy Spirit moves, or realizing the only power we have belongs to God. Of spiritual growth and the way trials leave us feeling beat down, even if they don’t break us (I Peter 4:12-19; Romans 5:3-5). Of God perfecting us so that His glory is revealed to everyone we encounter (James 1:2-4). I questioned my willingness to go through God’s process, to make the necessary changes and sacrifices for Him to unearth His treasure within me. Have I taken time to seek His wisdom and guidance (Proverbs 10:29; Proverbs 14:12; Jeremiah 29:11)? To relinquish my timelines, goals, or dreams and embrace His? To serve others? To walk in love (I John 4:7-8; I Corinthians 13; John 15:12; John 13:34-35)? To follow wherever He leads? I know I’ve often missed the mark. But I trust that as I go through this life with pain and illness, my focus will steadily turn to God. And as it does, His glory in my life will shine like pure gold. Prayer: Lord, we don’t like the trials that come our way. Help us to endure with faith, knowing that You are working to make us precious, perfect and complete, so that Your glory is revealed to everyone we encounter (James 1:2-4). Amen. Dorothea Love lives in Los Angeles with her husband, Norman. They are the parents of two adult children. She has lived with chronic illness and pain for over 30 years. 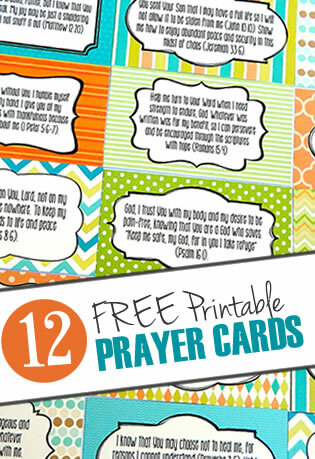 She knows she must rely on God’s grace to strengthen her whenever she faces a challenge. She invites you to read some of her other work on her blog: www.dorothealove.wordpress.com. How do you feel that even a small part of your character has been refined? 2 Responses to Am I Forming Properties of Gold Within My Struggle? Thank you for sharing this devotion. I loved it! Job 23:10 is one of my favorite verses. I’m thankful that God knows the way that we take. He has a lot of work left to do in me, but I think illness makes us more malleable. I liked the devotions too.